In August, President Trump sanctioned Turkish Minister of Justice Abdulhamit Gul and Minister of the Interior Suleyman Soylu in an as-yet unsuccessful effort to secure the release of an American clergyman implausibly accused of involvement in the failed 2016 Turkish coup attempt. It was the beginning of an unprecedented economic attack against a NATO ally. 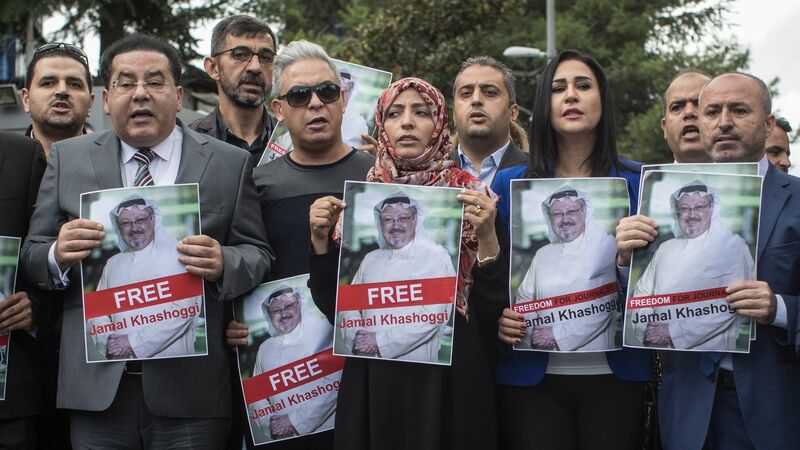 What’s new: The Trump administration now needs to work closely with Turkey to address the disappearance of Saudi journalist Jamal Khashoggi, a Virginia resident and Washington Post contributor who disappeared from the Saudi Consulate in Istanbul. Resolving the issue will require hand-in-glove cooperation with intelligence and law enforcement units under the control of Gul and Soylu — both presumably smarting from having their assets blocked and travel restricted — as well as President Erdogan, surely furious about the damage to his economy. The background: On August 10, after the sanctions had pushed Turkey’s already fragile currency down 15% against the dollar, Trump announced that the U.S. would double tariffs on Turkish steel and aluminum, to 20% and 50%. The lira’s slide then turned into a free fall, dropping more than 18% in a single day. There were fears of “contagion” among other developing economies, but Turkey reluctantly hiked interest rates and stabilized the situation. The frayed U.S.–Turkey relationship has since been on display, with Trump claiming and Turkey denying that U.S. investigators are in Turkey. Khashoggi’s disappearance is a matter of great consequence to the U.S. Khashoggi was a moderate Saudi critic and an important voice on al-Qaeda and other terrorist movements with Saudi roots. If Crown Prince Mohammed bin Salman was involved — as recent reporting suggests — it would point to a brittleness in the Saudi partner and a disregard for press freedom that demand urgent attention. What’s next: Turkey would be pleased to see a rift between Washington and Riyadh, so they will probably overcome the political and practical hurdles created by this summer’s sanctions and tariffs. It is almost certain, though, that decisions will be made more slowly and communication handled more haltingly, possibly costing important time for investigators and intelligence officers. The bottom line: Targeting individual cabinet officers in an allied country for sanctions was unprecedented, but the Trump Administration seems to have similar targets in mind, from the International Criminal Court to European Central Bank officials. The Khashoggi case is a reminder that the U.S. needs allies and partners, and sometimes may need to resist exerting power in the interest of preserving long-term relationships.